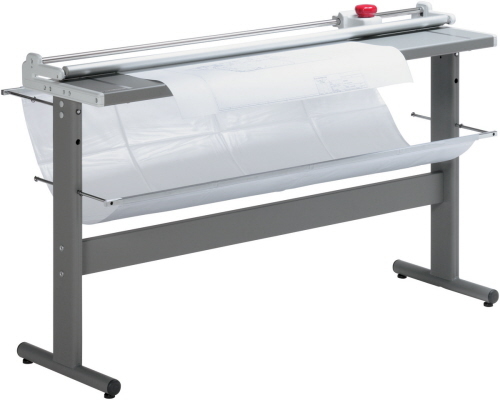 Triumph Large Format Rotary Paper Trimmers provide architectural and commercial business with an ultra-wide area for drafts, drawings, blueprints and posters. These models are in a table / stand configuration with ease of access for cutting paper and other printed material. Our kits come complete with the stand and cutting surface area to quickly complete the task with precision and little room for error. 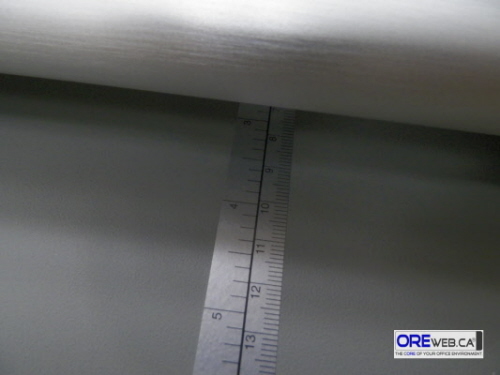 The catch-all trays allow for recovery of both final printed matter and waste, which can quickly be removed for a clean work area. This brand of performance equipment is designed to last and with-stand the day-to-day use of commercial and business cutting needs. Triumph (Kutrimmer) are available in large format rotary trimmer models: 0105u - 41 1/4", 0135 - 53" and the 0155 - 61"
The Triumph 0135 (Kutrimmer) is an advanced large format paper trimmer with up to 53" width capacity. 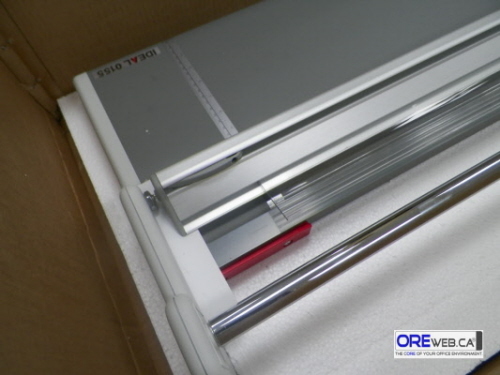 This model is ideal for rotary (rolling) cuts of blueprints, architectural drawing, posters, large photos, and digital printouts. The Triumph 0135 (Kutrimmer) model come with smooth running, self sharpening, hardened steel rotary blades designed to last for years. An automatic clamp system allows you to see through the clamp bar for easier cuts. 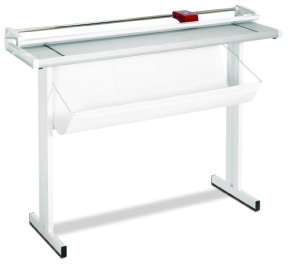 The table height is at 34" to allow for easy view of large format trimming tasks. 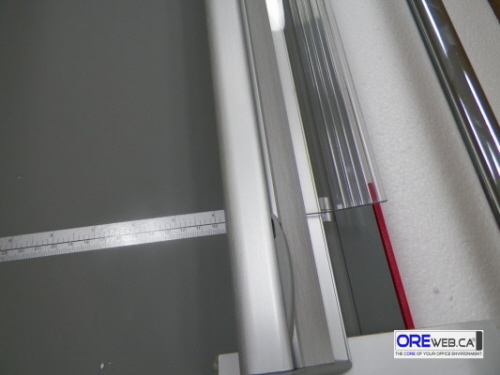 The Kutrimmer 0155 paper trimmer is a 61" ultra wide format and is one of the largest width capacity models OREweb.ca® has to offer. With a precision features designed for professional use, this equipment can perform cutting tasks quickly with little effort. Like the other model above, the 0155 is designed with exacting standards and safety features. The see through clamp is designed to allow for viewing marks for sizing as you cut. This high performance unit is designed for longevity and durability.